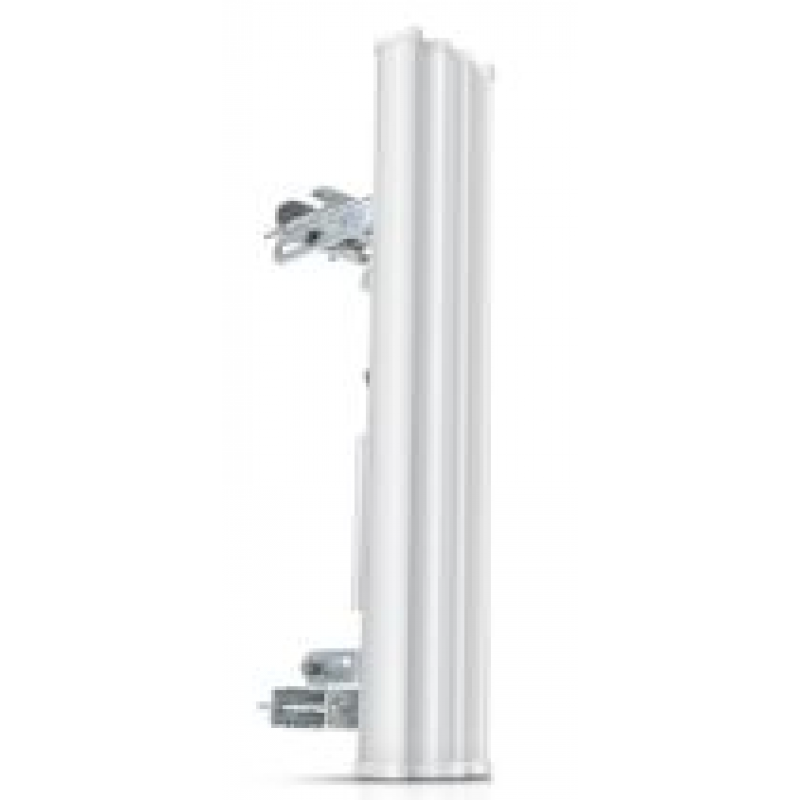 Revolutionary, Cost/Performance Breakthrough Carrier Class, 2.4GHz AirMax 2x2 MIMO Basestation Sector Antenna. Available in several frequencies, gain and horizontal patterns, these all-new 802.11n MIMO 2x2 sector antennas are optimized for the new airMAX software and M series Ubiquiti radios. Patent-pending next-generation technology achieves gain, cross-pol isolation, and beamshaping characteristics rivaling the highest quality cellular carrier basestation antennas in the world. Instantly pair with Rocket M5 to create a powerful AirMax 2x2 MIMO PtMP BaseStation. Instantly pair with Rocket M2 to create a powerful AirMax 2x2 MIMO PtMP BaseStation. Rocket mount and weatherproof RF jumpers included.